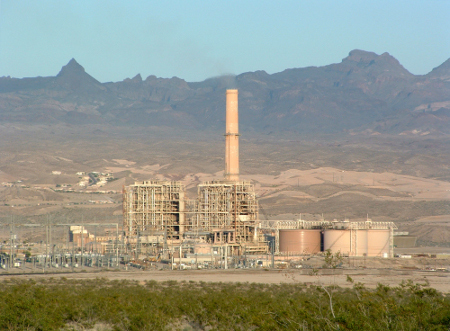 Carbon capture is a term you hear a lot around coal and other fossil fuel electric plants. The basic idea is to somehow capture some of the carbon dioxide and keep it from getting in to the atmosphere. There are basically two types of capture techniques. One is to remove the carbon from the smokestack after we have burned whatever we are burning. The other is to remove it before burning. Both of these have advantages and disadvantages. Pre-Combustion takes the coal and cooks it. While it is hot it gets hit with alternating blast of steam and air. This produces hydrogen gas and carbon dioxide. These need to be separated and that is done using something called pressure swing adsorption. What that mean is they have an adsorbent material that like a particular gas. At high pressure one gas sticks to the adsorbent material and the other continues on. When the adsorbent material is full they switch pipes and lower the pressure and the adsorbent material releases it gas. Thus you have carbon dioxide to be stored, storage is another whole question, and hydrogen gas to burn. Post Combustion takes the carbon dioxide out after the material is burned. I attended a presentation put on by a local company called WearAir. They have two technologies that come in to play with carbon capture. The first is a post combustion method of capturing carbon dioxide out of the flue gas. They are using an adsorbent material that likes carbon dioxide. In this case it is a temperature swing. The adsorbent drops through the flue gas, at the top it is warm and picks up carbon dioxide as it falls to a certain point it gets too hot and lets to carbon dioxide go to piped off. The adsorbent material goes back to the top to start all over again. They have a video of the presentation I went to see. (Video) A animation of this process starts at 47 minutes. This method is much cheaper than current methods. The biggest stumbling block to carbon capture is cost. Nobody wants to pay more for electricity but with a price for carbon coming one way or another it only a matter of time. A variant on the post combustion is to burn the coal in pure oxygen. This gives a flue gas that is water and carbon dioxide that is very easy to separate. They have to recycle some of the carbon dioxide into the furnace to keep the temperature down so they don’t melt the steel. The issues is that oxygen is take a lot of energy to separate out of the air and therefore raise the costs. WearAir has a system that again uses adsorbents and pressure swing to separate oxygen out of air and again it’s cheaper. This has the potential to be a zero emission system. Carbon capture is a growing technology and with all technology we just don’t know what is around the corner but I am glad to see a local company out there with some great ideas. The question of storing the carbon dioxide is not a trivial one and there are some big questions to be answered there. All the information in this article comes from presentation that I attended and wikidedia. Great to see that you are still writing and doing your amazing research! Great! This awareness is needed where people are engaged in deforestation for livelihood. Carbon trapping could be most effective if assimilated into infrastructural programs that are run by INGOs, or many developmental agencies. Economic opportunities and employment at the local level may be the driving forces in real terms for an effective program. Thank you so much for info link fromwikipedia.